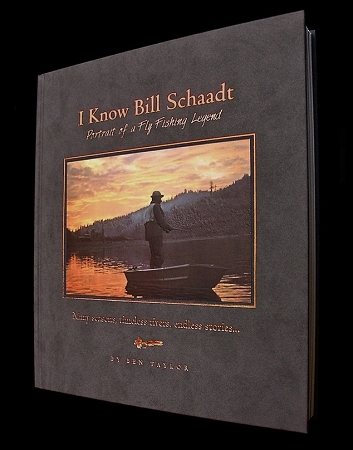 This book consists of a collection of stories, memories, and articles written by those who knew Bill Schaadt. They will hopefully give the reader a glimpse of one of the most rare and unique individuals who ever cast a line. Bill Schaadt was one of the most prolific anglers and unique individuals to ever cast a fly line in California's North Coast rivers. Arguably one of the greatest anglers that ever lived, Bill was a legend long before he passed away in 1995, and anglers who knew Bill still talk about him today as if he were just around the next bend. Now, in a beautiful tribute to this amazing individual is a collection of fascinating tales as told by 30 of his friends - those who had the unforgettable experience of fishing with him. With 208 pages, and over 100 pictures in full color, this hard-cover book spans the forty years that Bill fished - 1955 to 1995. These were the "heyday" years of steelhead and salmon fishing on the West Coast, and Bill's passing may well have marked the end of that era. A few contributors include: Jim Colllinsworth, Jim Adams, Mike Loeffler, Neil Light, Paul Renaud, Hal Janssen, Doug Brutocao, Lani Waller, Brad Gackson, Russ Chatham, and many more well known names.